Enjoy unlimited access to RCF climbing terrain and fitness equipment. Just remember day passes do not include staff instruction, equipment rental or belay services. New to climbing? Check out our First Visit page for information on climbing programs for beginners. Note: Day passes do not include staff instruction or belays. Save money when you prepay your day passes. 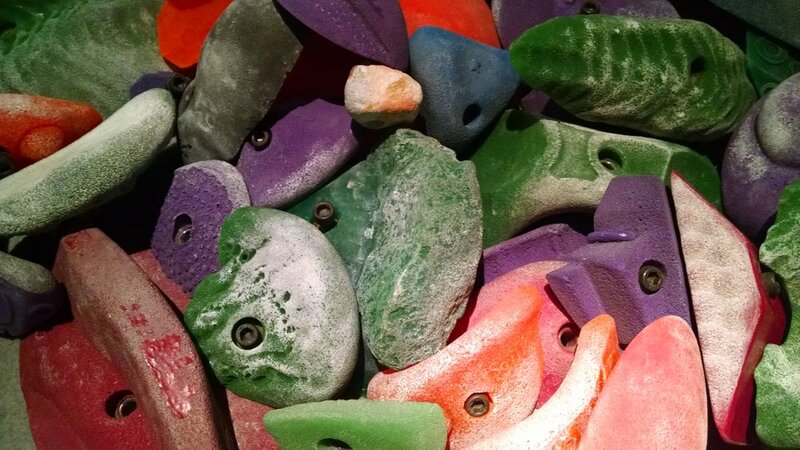 Let our certified climbing instructors introduce you to the sport of indoor rock climbing. This 1 hour session is ideal for kids, families and first time climbers of nearly any age or ability. All climbers wishing to hire a belayer must purchase a day pass and appropriate rental equipment or hold a valid RCF membership in addition to the belayer fee.